A great way to serve party food at a children's party. Can also be used to give party bag fillers and favours, gifts etc. Each box measures at 16 cm length x 15 cm high, 10 cm depth. Sent out flat packed and easily popped up into shape. 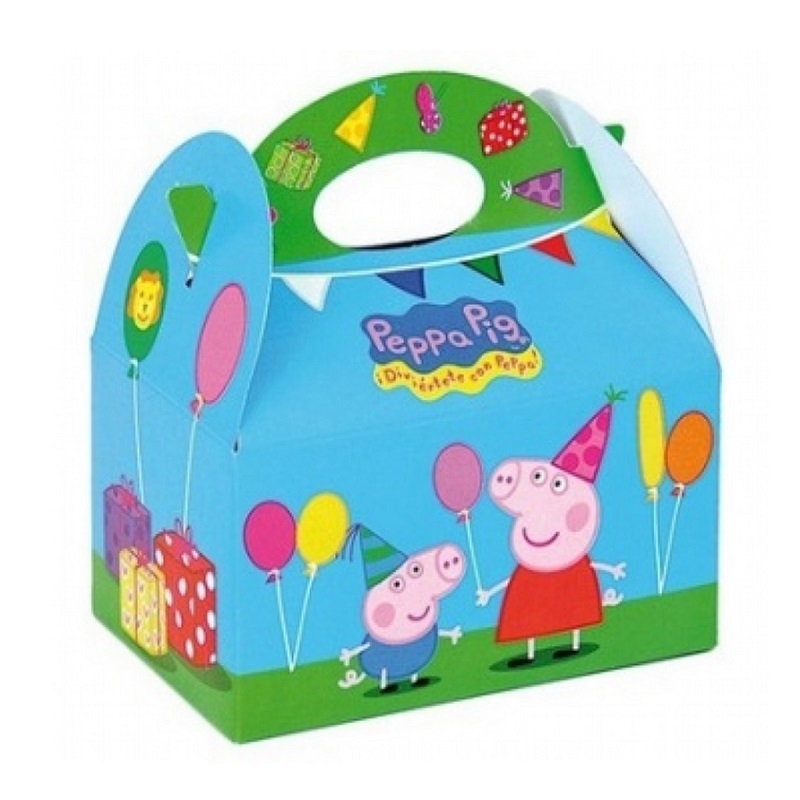 The boxes show Peppa and George with party hats and shows balloons and bunting like a party.